The PTB110 Barometer is designed both for accurate barometric pressure measurements at room temperature and or general environmental pressure monitoring over a wide temperature range. 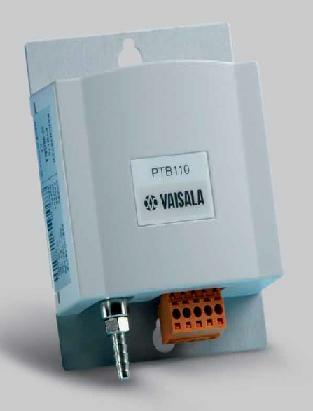 It uses Vaisala''s BAROCAP(R) silicon capacitive sensor to measure barometric pressure over a 500 to 1100 millibar(hPa) range with an output of 0 to 2.5v and a low current consumption, making it suitable for use with a wide range of data loggers. The PTB110 is a popular choice for wind-assessment and general-meteorology applications where a barometer is required. Page Rendered in: 0.516130 seconds. - Powered by Mambo.